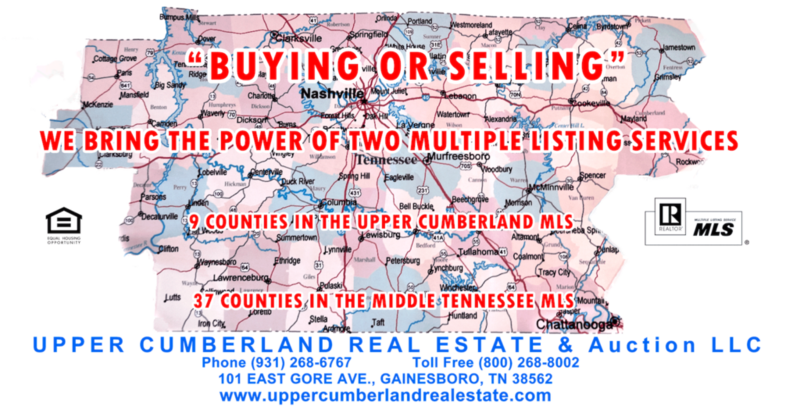 Upper Cumberland Real Estate is a high performing real estate company that is a member of both the Upper Cumberland Multiple Listing Service and the Middle Tennessee Multiple Listing Service. This means that over 300 agents in the Upper Cumberland area and over 7500 agents in middle and west Tennessee have access to our listings. This also gives our agents access to any property listed to ensure that buyers have the most options when buying property. Take a look at some of the most popular cities we cover below or view the extensive list by clicking here.